Tim Trefren Sr. the Patriarch of the Trefren’s has been a main stay in the hunting field since the early 1960s. He has done it all; from guiding hunters to the famed moss back bucks of western Wyoming to owning and operating one of the west’s finest hunting operations. Starting Trefren Outfitters in the late 1970s he has taken Trefren outfitters to the pinnacle of the outfitting industry. With a keen eye for the smallest details, he insures that every client has the best trip possible. 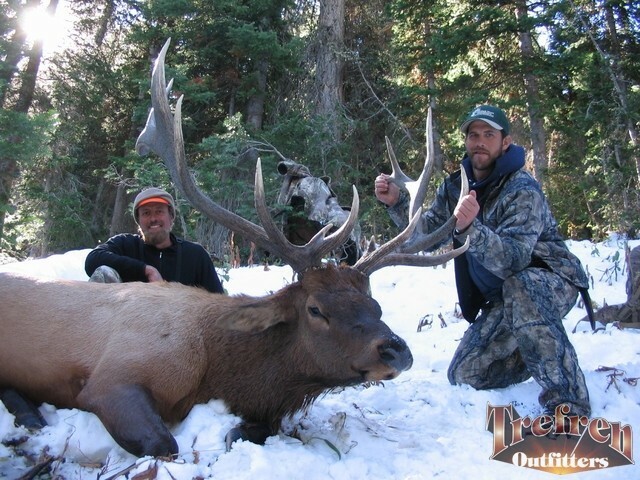 Trefren Outfitters holds the highest standards for our clients, from the best guides we can give our clients, to the finest home cooked meals, and the best camp in Wyoming. Trefren Outfitters will make every effort to make this the trip of your life. Cabela's Mule Deer Hunt Salesman said this place was one of the top 5 Mule Deer Hunts anywhere. The entire camp saw 3 shooter Bucks over 5 days while "other hunter sightings" numbered between 30-40. Hard to hunt with that much competition. Also, we were told there were no wolves in the area. That was a lie. Email me for the specifics.